This post has been sat in my drafts for far too long. My name is Stephanie Jane and I am a Brooch-a-holic. The post has been sat there while I take pictures of my other brooches, but too much time has passed and i'm sure they have all been featured at some point or another. From a Stall ion my local town centre, i've been trying to find the seller on FB but I've had no luck! This is from Pookaledo, the lovely Sarah offered it to me a while a go to review and I adore it. All hand stitched. One of my more odd brooches, came via the Leeds Clothes swap, I have no idea where it was from originally. I do have quite a few more. I need to find the perfect storage for them but have no idea what would be best, I also need a glue gun as I might have washed 2 of these and need to fix them! 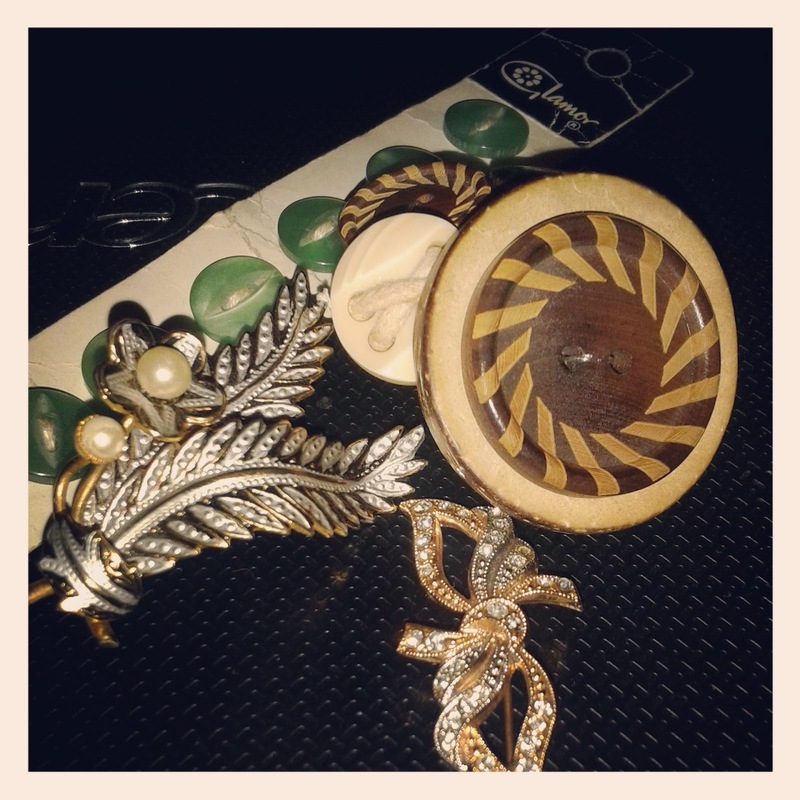 Do you like Brooches? Please share with me your best finds and where you get them from, I'm always on the look out for more! Oooh, I love so many of these. I'm not sure if I'm really a brooch person, i'd like to be but I'm not sure I can carry them off! You need some kind of wall hanging to pin them all to and show them off. I always bought them and then didn't wear them. I go through stages where I wear them every day, then I've not worn one for weeks.